DNF'd at page 50 because life is too short. This book starts out cute enough. A young girl of the lower class works tirelessly for days kissing frogs, picking leeches from her legs and getting mud drenched in the hopes of breaking a curse and earning herself the handsome prince. 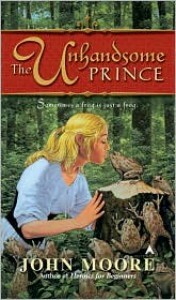 Well, she finally kisses the right frog but when he transforms he's not the handsome prince she was promised and she is pissed off. Her hopes forever dashed, she decides she doesn't want to marry him. He's not too find of the idea either considering how rude she's being about his looks. The beginning was cute, witty and sarcastic but then it meandered down a different path and I lost interest. They hook up with a sorcerer's daughter and go on a road trip and I just wasn't feeling it.